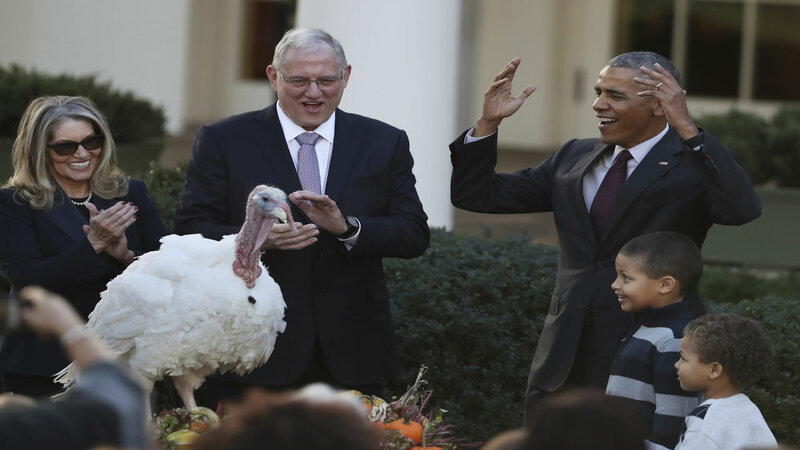 President Barack Obama is set to get the holiday mood started at the White House with the traditional pardoning of the national Thanksgiving turkey. The light-hearted ceremony in the Rose Garden on Wednesday afternoon featured Iowa-raised turkeys Tater and Tot. The White House asked people on Twitter to vote for which turkey will receive the pardon, though both typically get a reprieve. Tot won the popular vote. The White House blog provides a biography for each bird to help in the decision. For example, Tater's favorite snack is worms. Tot prefers tomato slices. After the ceremony, the president and first family volunteer at a community service event.